Home/Calendar/How do I Create an Event Reminder? 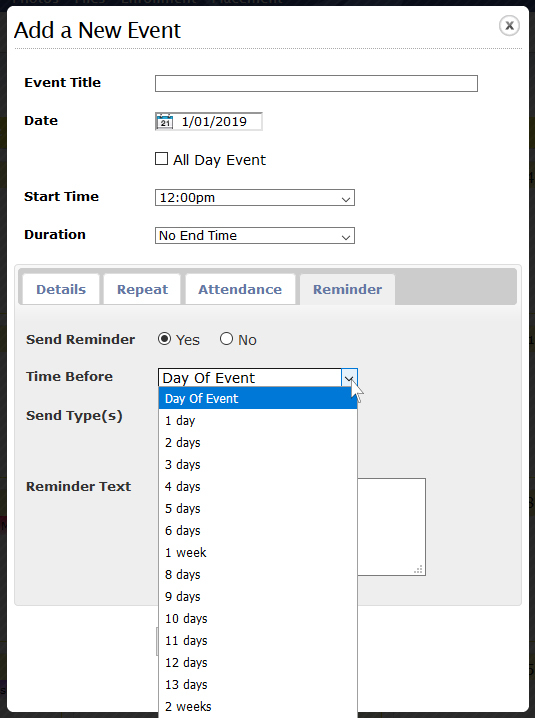 The ChapterWeb Event calendar allows you the ability to create a reminder for the event to be sent to the event attendees by email, text, or both. You can set the reminders when creating the event, or add a reminder later after the event has been created. 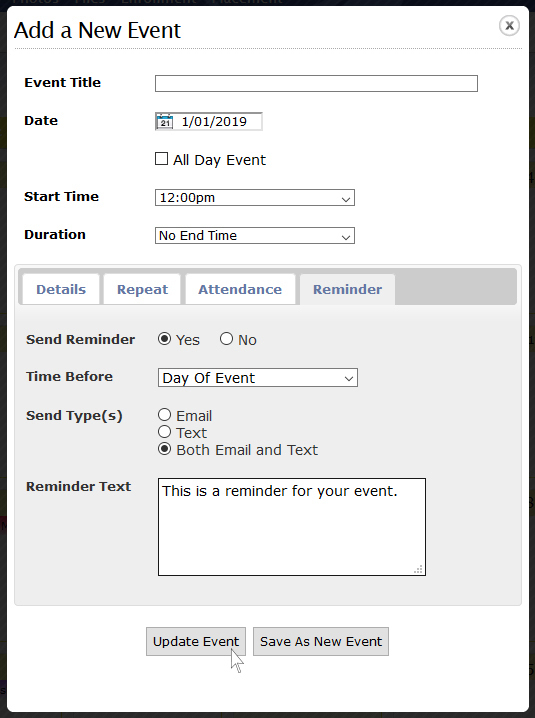 When creating the event, select the Reminder tab. Set Send Reminder to Yes. Using Time Before, select how far in advance of the event you would like the event reminder to be sent out. 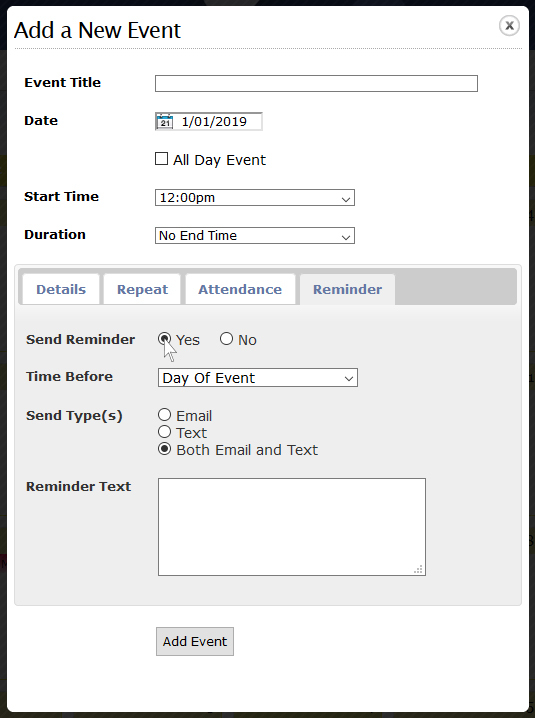 Using Send Type(s), choose whether you would like the reminder to be sent out as an email, a text message, or both (If you have texting available). Add your reminder message in the Reminder Text area that you would like your members to receive. 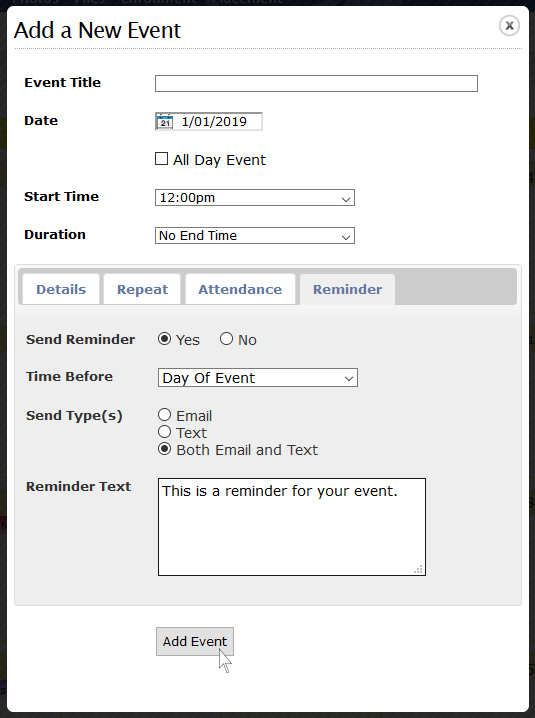 When you are ready, click the Add Event button and the event will be added to the calendar and your event reminder will be set to send. 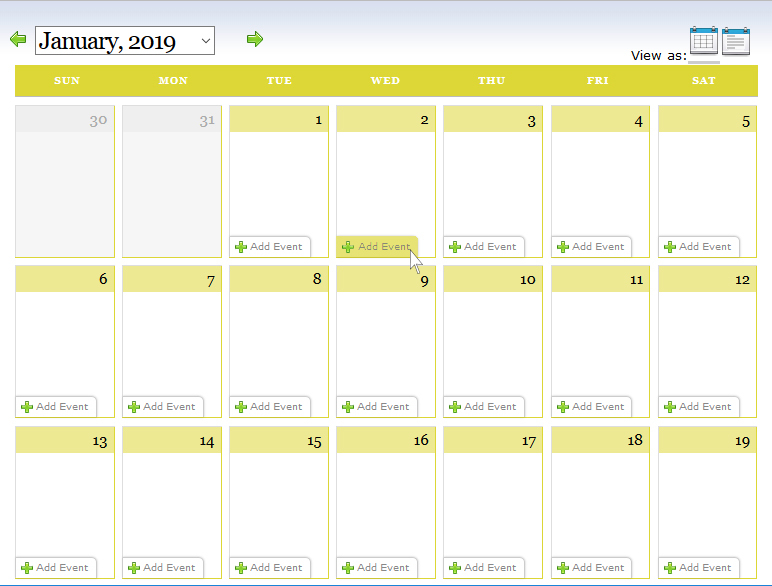 From the calendar page, select the event you would like to add an event reminder to by clicking the event. In the event page, click on Edit Event in the right corner. When you are ready, click the Update Event button and the event will be updated on the calendar, with an event reminder set.